For now though, let's just breathe and look around. I don't know about you (I can only hope) but I have the day off. It's cold and miserable outside and I am inside, cosy with sweaters and handknit socks. Another parcel from my online Christmas shopping arrived as I typed that last sentence, and that marks just about the last of them, which means I planned right this year when I timed my ordering. True, I still have three outstanding knitting projects that have to be done and dry in just five days. And people are expecting me to bake enough shortbread to deliver to a whole lot of neighbourhood friends, to say nothing of the chocolate chip meringues so essential for board-game night. I haven't put up any Christmas decorations yet - not even the tree! - because the house is still such a mess from three weeks of knitfrenzy that there is no space to do that. Also, there are Christmas cards on the table I really need to write today for any chance at their arriving before New Year's. 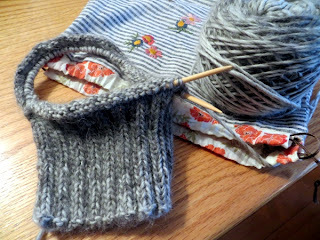 There are a few more knits I want to cast on and have ready for... oh, maybe Tuesday night? but I'm not saying that out loud because I know that is totally unrealistic and also, unnecessary, even though I really really want to do them. ... and an alpaca knit. YUM. it's good not to push yourself too hard with too many things in too many different directions, and it would be really good to do more of doing less. And now, the excitement. Do you remember Super Batty and Steve? 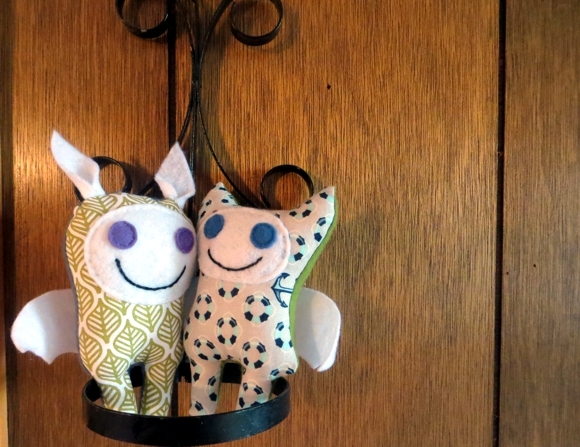 Well, this morning I discovered their maker now has an Etsy shop. An Etsy shop!!!! And, at the time I am writing this, she is having a sale. I really want another of these improbably cheery-uppy monsters, and I know I will have ordered one before bedtime, but which? this is the same problem I had before - they are all so fantastic, it's impossible to choose. So now that you know what I'm doing today - not doing anything on my list, but slowly knitting alpaca while clicking through pictures of monsters - let me tell you I hope you get to do something lazy today too, even if it's just for a few minutes. See you Monday!